We create, develop and produce feature films and television drama. We seek out original voices and bring stories to life with energy, passion and dynamism. Notable releases include Only You, Weekend, The Party's Just Beginning and The Cry. Claire Mundell is a BAFTA award-winning film and television producer / executive producer, and owner/ Creative Director of independent production company Synchronicity Films. Synchronicity has an active slate of high-end international TV drama projects in advanced development, and a first look deal with international distributor DRG. Claire recently developed and exec-produced the UK hit BBC One mini-series, The Cry, a psychological thriller starring Jenna Coleman, adapted from Helen FitzGerald’s novel by Jacquelin Perske. Other recent production credits include Karen Gillan's 2018 directorial debut feature, The Party's Just Beginning and Only You, a modern day love story starring Laia Costa and Josh O'Connor, written and directed by Harry Wootliff and produced in collaboration with The Bureau. Claire’s feature film career started when she produced the 2009 BAFTA award winning Crying With Laughter, written and directed by Justin Molotnikov, followed by the double BIFA- winning,Weekend, written and directed by Andrew Haigh, and which Claire co- produced. Shortly thereafter, Claire produced Not Another Happy Ending starring Karen Gillan in her first leading feature role. This feature closed the 2013 Edinburgh International Film Festival and played the 2013 Busan International Film Festival. 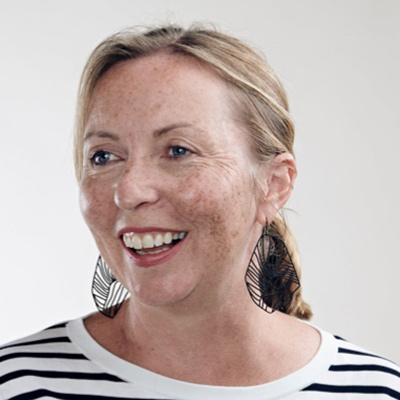 Claire has extensive experience in network television having developed prime-time television drama as an executive producer for the BBC and having spent 10 years in the BBC in a senior leadership role. Prior to launching Synchronicity, Claire was Head of CBBC Scotland, originating, producing and exec-producing various TV shows including the BAFTA and RTS award winning Shoebox Zoo. Claire consults widely for film and TV organisations and is a Council Member and Board Director of PACT. Whilst we like to hear from our visitors and welcome your comments, we do not accept or consider any unsolicited materials. Please do not send us any unsolicited ideas, screenplays, treatments, formats, or other similar materials. They will be deleted on receipt.